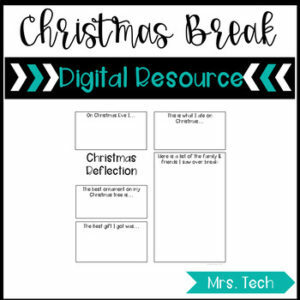 This is a great way for students to tell you all about their Christmas Break using this jpeg (or PDF page) designed for use with PicCollage. This is a great way for students to share with you about their break in an organized way. After I had all their slides, I made them into a slide show to share the next morning!